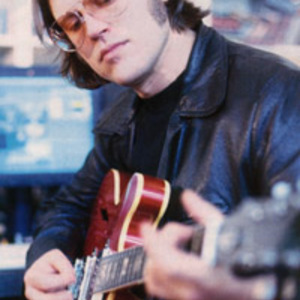 Matthew Sweet (born October 6, 1964) is a power pop musician from Lincoln, Nebraska, United States. He was part of the burgeoning Athens, Georgia music scene in the early and mid-1980s before gaining commercial success during the early 1990s. As a young musician wanting to make a name for himself, Sweet set off to Athens, Georgia in the mid '80s, to attend college and join the vibrant Athens music scene, most famous as the home base for R.E.M. and The B-52's. Sweet worked with R.E.M. As a young musician wanting to make a name for himself, Sweet set off to Athens, Georgia in the mid '80s, to attend college and join the vibrant Athens music scene, most famous as the home base for R.E.M. and The B-52's. Sweet worked with R.E.M. leader Michael Stipe at this time, joining Stipe's sister in a band called Oh-Ok and then forming another band, The Buzz of Delight. Before long he was signed to a solo recording contract with Columbia Records. One album, Inside, was released by Columbia in 1986 to little success. Sweet was then picked up by A&M Records where he released his second album, Earth (1989), again without commercial success. This period marked a personal and professional low point for Sweet, as A&M lost interest and his marriage failed. Sweet quickly recovered, and put together a new band including Richard Lloyd, Robert Quine, Greg Leisz, Lloyd Cole, and Fred Maher. The new group spent 1990 putting together Sweet's next work, originally titled Nothing Lasts. In 1990, A&M released Sweet from his contract, and he signed with rival Zoo Entertainment. The album, still under construction, was retitled Girlfriend and released in October 1991. This album featured a classic set of pop-rock songs, was considered by many to be an artistic breakthrough and quickly garnered impressive U.S. sales (spawning a top-10 single with the title track). The video for the title track was aired on MTV and MuchMusic and features Japanese animation (commonly known as "anime"), of which Sweet is a fan. The animated clips in the video for "Girlfriend" are taken from the movie Space Adventure Cobra, and the video for "I've Been Waiting" uses clips of the show Urusei Yatsura featuring the character Lum, of whom Sweet has a tattoo. Sweet's follow-up album, 1993's Altered Beast, was borne out of an apparent determination not to become mainstream. A more diverse and less immediately accessible album than Girlfriend, the album divided fans and critics who had mixed reactions to emotionally intense and brooding tracks like "Someone to Pull the Trigger" and "Knowing People." In 1995, Sweet released, 100% Fun, a darkly ironic title alluding to a quotation from Kurt Cobain's suicide note: "The worst crime I could think of would be to pull people off by faking it, pretending as if I'm having 100% fun." The album mixed bouncy pop style with darker lyrics, including a leadoff track, the self-deprecating "Sick of Myself". The track has frequently been covered live by fellow '90s power poppers The Posies. Decidedly out of the musical mainstream, Sweet would issue a few more albums in the second half of the decade and maintain a devoted core of fans, but critical acclaim and chart success would be hard to come by. Sweet's international success had been somewhat limited by his fear of flying; however he gained a significant following in Japan and his most recent album, Kimi Ga Suki * Raifu, was a Japan-only release in 2003. In 2000, Sweet worked with the Canadian band Delerium, to release the song "Daylight" that appears in their album Poem. In early 2002 he formed the supergroup The Thorns with Shawn Mullins and Pete Droge. He released a new album of solo material, Living Things in late 2004, though the material on the album was recorded in 2002. In April 2006 he partnered with Bangles lead singer Susanna Hoffs to release a collection of 1960's classics, titled Under The Covers. Featuring their take on such widely known '60s hits as "Monday, Monday," and "The Kids Are Alright", the album represented a return to the accessible and melodic approach associated with Sweet's early breakthroughs. He is featured in the release in November of 2006 of the Activision and Red Octane Play Station 2 game, Guitar Hero 2. His hit song "Girlfriend" is featured on the hit game.